* prices in PLN, per run for whole group The capital of Poland is Warsaw – beautiful Polish city which stands on the Vistula River- the center of political, administrative, entertainment, cultural and economic life. This is the place where every year visit thousands of tourists as well as businessmen who do business in the capital. If you are coming to Krakow Balice airport, but would like to also visit Warsaw, we offer our car service. Best way from Krakow to Warsaw only with BeKrakow! If you are wondering, how to get from Cracow to Warsaw, we suggest using our private transfer service. This way you ensure a comfortable traveling on the route from Cracow Balice airport to Warsaw. There is no need to rent your own car and look for the best way to reach your destination, or use buses, trains or planes on the route getting from Cracow to Warsaw. With our help, you will travel in the most comfortable conditions. We have great experience in transportation industry. For years we organize private taxi service in the national and international scale, by using reliable luxury cars. We also provide services in the door-to-door system, so that our customers never have to wait at bus stops and train stations, until the driver picks them up and drives to the desired location. Book your private transfer from Cracow to Warsaw and enjoy a pleasant journey! Our luxury chauffeur can pick you up at the Krakow Balice airport and drop you to Warsaw. 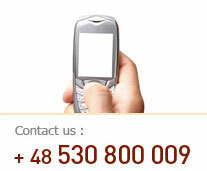 If you want more information about our car service for domestic and international routes, we remain at your disposal. We ensure you are picked up from the arrivals at the airport Balice in Kracow at any time of day and night. All you need to do is book transfer from Krakow to Warsaw in our company BeKrakow and determine your requirements. We approach each project individually, to fully satisfy our customers. We guarantee that our driver will pick you up on time at the airport Cracow Balice and perform private transfer from Krakow to Warsaw and return. Getting from Warsaw to Cracow, we can also provide you with adequate transport. What is the distance from Krakow to Warsaw? Distance from Cracow to Warsaw is 300 km. Both capitals – former and current divides a large distance, but our driver will ensure private transfer to run smoothly and according to plan. The route from Warsaw to Cracow leads through the cities of Kielce and Radom. If you expect your transfer time to be as short as possible, please use our services. BeKrakow provides drive from Krakow to Warsaw within 4 hours. The driver will choose the best way to travel, if unforeseen events are encountered – traffic jams, accidents, road works and others. As a result, your appointment will not be delayed and you will be on time in the capital. On the table on the left you can see the exact costs of a taxi from Cracow to Warsaw and return. This amount takes into account the taxi fare, the cost of gasoline, air conditioning, insurance and comprehensive luggage service. By providing car service carried out at a high level by BeKrakow you will be able to relax during the route from Cracow to Warsaw. If you do not know how to go to Warsaw from Cracow Balice airport, please contact us! Book your transfer in BeKrakow right now!